Info. 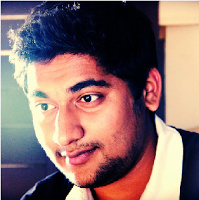 : Co–Founder & C.E.O of WashKart, a Computer science graduate from VIT University. 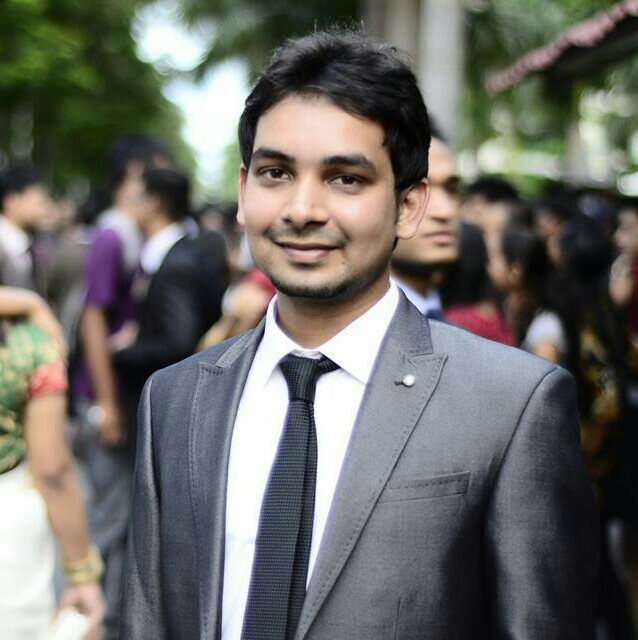 He is a Software Engineer at Accenture. 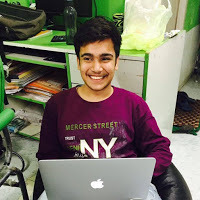 Other Members: Aashish Gulabani : Co – Founder & C.T.O of WashKart, Electrical Engineering graduate from ISM Dhanbad. 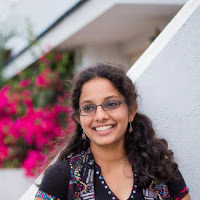 Software Developer at TriSys IT Services, Trainee Decision Scientist at Mu Sigma. WashKart is an on-demand laundry provider which works through the integration of intensive ground work & technology to provide convenient & affordable laundry service at your doorstep through the means of multiple platforms. All that is required to avail the service is one click. Q2. How did you think up about WashKart ? Were you inspired by other online laundry service start-ups ? The idea was seeded in my mind during my graduation days when there were no such online laundry start-ups, but university’s rules and regulations confined the idea from execution. Let me tell you the story in brief – during my graduation days I always disliked doing laundry. It was a tiresome task, consuming precious time that could have been spent with friends or studying. Even when giving the laundry outside the campus, there was always the bother of carrying bundles of clothes to the laundry shop, then picking them up later. Sometimes, there would be altercations with the laundry person for not delivering the laundry on time. Sometimes there were issues getting the clothes back because I had lost the bill. The service wasn’t good either, I thought it was impossible for water to tear through jeans but they managed to that too, somehow. The university officials were averse to the idea though the business incubation centre helped us increase our network. My job at an MNC gave me an opportunity to join its Bengaluru campus, the job was gratifying but I felt WashKart deserved to see the light of day and so I decided to devote my full time towards it. It was around the same time I met my long time friend Aashish, he too faced the same issues while his stint in technology & business and hence he decided to join me. 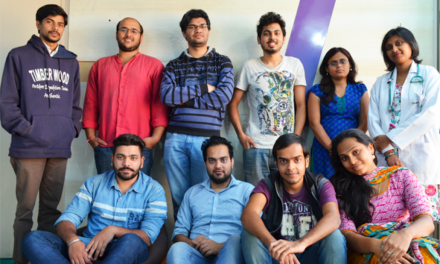 WashKart was finally launched in Bengaluru on 1st August 2015 after doing thorough market research and validating the idea through a pilot model. So in a nutshell, I would like to say that the inspiration for WashKart was the huge laundry problem which seemed small at an individual level but when we researched the whole market it seemed a significant problem that needed to be solved. Q3. In which of the next cities have you planned to expand WashKart next ? Would you change the wash pricing in different cities ? As per our market study we have found NCR and Mumbai have a big unorganized laundry space after Bangalore. So we would be expanding to these cities in addition to 3 more Tier-1 cities in next 18 months. Every city has a different set of people and customers’ behaviour may vary from city to city depending on their surroundings. So, there may be price differences as the cost of resources available in a city will also differ from other. However, having said that, we will strive hard to provide the best quality services at the most affordable price. Q4. How are you different from other laundry services like LaundryWala, housejoy etc.? Have you cooperated with any of them in terms of customer management, or just mainly competed with them? WashKart functions through its three legs: operations, logistics and technology and unlike our competitors we own the technology and logistics. Though we have outsourced the laundry to a vendor [who does laundry solely for WashKart] we manage the whole processes. As we own and control the complete value chain, it gives us flexibility to serve our customer better and in a cost effective way, whereas most of our competitors aggregate several vendors and have no control over the processing. Also the logistics is outsourced partly or fully and thus doesn’t have a reliable service. Owning complete value chain helps us in solving 3 major problems in laundry industry viz. Long turnaround time, inconvenient services & poor laundry practices. Usually Local dhobis and other laundry services takes minimum 3-4 days of delivery time, we had reduced it to 48 hours. In short, WashKart works towards providing users with a more convenient and expedite laundry service through the use of better technology and eco-friendly means. We have maintained unit economics on our orders using better logistics and on ground equipment. Our goal is to optimize and automate the process further maximizing the profits per order hence, giving us the room to deliver much better customer experience. Through our innovative techniques and optimization algorithms, we have already cut our logistics costs by a factor of 20. Q5. Can you give us an idea about the infrastructure of your washing plants and whether they are in a single or multiple locations ? We follow hub and spoke model which consists of multiple collection points where orders from nearby locations are collected. From these collection points the clothes are sent to our central processing unit where they get processed. We have put in place various checkpoints at all the levels of processing cycle like tagging of clothes to avoid missing or mixing with other orders, we then sort them as per texture, fabric & colour to avoid unfortunate events like colour bleeding, then the clothes go for washing [temperature & detergents are used depending on fabric type] and ironing. After the clothes are ironed the orders are checked for quality and then carefully packed to avoid wrinkles. Then processed clothes are then dispatched to corresponding hub points for delivery. Q6. What if any of the clothes are damaged during the wash, do you provide a payback in any form to the customer? Any other issues you experienced while running the venture? We exercise utmost care in cleaning and processing garments entrusted to us and use such processes which, in our opinion, are best suited to the nature and conditions of each individual garment. But we understand there could be unfortunate cases which cannot be avoided. In all such instances we take the responsibility to refund the amount corresponding to that garment. We have set certain policies after extensive research and experience which makes payback to the customer in any kind of mishap happened from our side. I would like to say that whenever a venture tries to change traditional system with the new one, there are certain expected and also unexpected challenges which will come in the way. Our initial challenge was to get first set of customers. We tried different ways but none seemed to work, and we decided to work at the grass root level ourselves. We distributed pamphlets, spoke with the potential customers and converted few of them. The word of good service spread quickly and hence we started generating revenues. Next we decided to perfect every small detail of the process; we did this by experimenting with new ways of doing things and evolving the processes simultaneously. For example there were around 10 iterations for tagging of clothes and finally we perfected the art of tagging the clothes which remain intact till the time it is cut by scissors. Challenges are necessary for a company to grow and flourish. I would say one must not sit back but confront these with full thrust and energy, & you will definitely come out winning with flying colours. Q7. Where is your workplace setup, is it near to the wash place ? Do you go by yourself and check in on the laundry process ? We have several hubs optimized to provide seamless service to customers of all the areas. Our main office is beside the processing facility. As said all the processes are managed by us and no cloth is delivered back without the quality check. We go every day to the facility to keep a check on processes and daily activates. Q8. Since laundry is a major problem experienced by mainly students who stay away from home in hostels, have you thought about expanding your service mainly focusing on student hub cities or to large universities ? Laundry is a problem not just for students. We have a wide variations in type of customers that we serve, like busy corporate employees, working couples who don’t have time for daily mundane chores, frequent outstation travellers etc to list down a few. So, we believe every city has its own unique set of audience which has a huge market to be tapped into. Q9. Could you compare your life now in a start-up to that of corporate ? Anything special you experienced other than freedom and share some of the hardships ? Would you choose to switch to corporate if you’re offered a high pay job at a dream company ? There are certain experiences and changes in workstyle that we have seen while working for WashKart. Each day teaches you so many things which probably is not the case with most of corporate jobs. Here, we have to generate the work by taking self-initiatives in order to grow the business, in corporate job we had to do the work generated by clients and managers. The impact of the work you do at your start-up is very high, success or failure depends on the attitude we choose towards the work. But in corporate even after working on millions of data the impact you make is not so significant. Here at our company we have to do all the types of work, when they say you have become CEO that means you have become chief everything officer. From sales guy to marketing guy from coder to tester, one has to take initiatives and perform a particular work before handing it over to someone else. You have to foresee all the challenges that a person could face doing that work and have to set a standard for every workflow. There are no tools or trainings available to improve yourself. And most of the time we are responsible for our own growth. Early stage startups have less resources hence leaving your job and starting up will mean you have to cut down on your lifestyle and other expenses. But success of the company will be our personal success. At last I would like to say working for own startup means everything for me. This is our dream and we are living it and we are working towards making WashKart everyone’s dream company. This is indeed a great Website. Helps us stay updated with the trends of the StartUp World. Нi, ϳust wanted to say, I loved this aｒticle.